Driving in Cyprus is on the left and road signs are in English as well as Greek making it very easy to get around. The island is fairly small and the journey from Larnaca to Ayia Napa can be driven in around 45 minutes on the usually traffic free highway. From Ayia Napa right across to Paphos is not much more than 2 hours so you really can explore the whole island very easily. Whether you want to see historic sites, take in the mountain scenery or go shopping you can travel around Cyprus from Ayia Napa with ease. 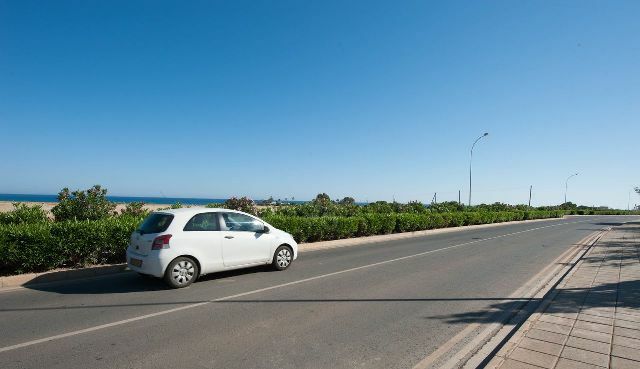 There are several car hire companies which have offices in Ayia Napa itself if you want to rent a car for just a few days or you can collect a car from the airport and use it for the whole of your stay. To guarantee prices and availability it is recommended to pre book your hire car. Below are our suggestions of reliable places to rent a car in Ayia Napa. The following companies will allow you to search and book the best prices on car hire in Ayia Napa with pick up from a local car rental office in the town or at the airport.